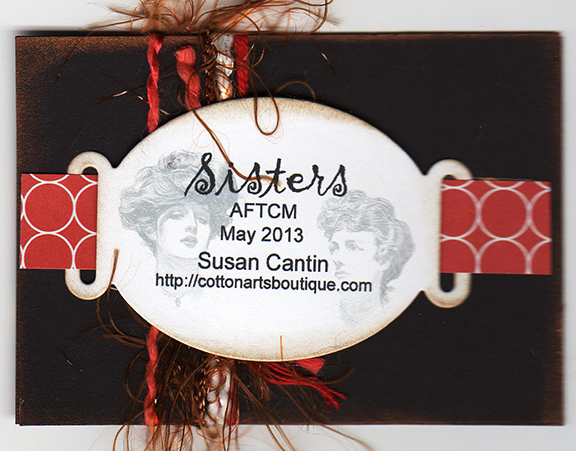 When the ATC theme of sisters came up on the Art For the Creative Mind Yahoo group, I knew exactly what I wanted to do. I had these two great photos of my sister and I when we were very young in Toronto. I’m the little blonde. 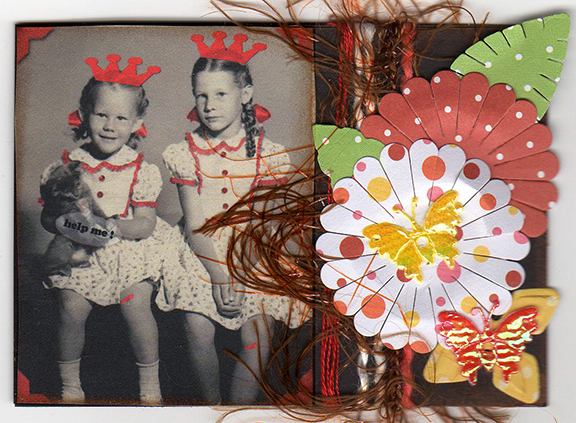 One was taken with us dressed in our ballet tutus and the other in dresses made by my grandmother. She was one of the best artists with a needle I know. She could take a bit of this and a bit of that and make wonderful outfits for us. The little kitten in that photo just did not want to be there….I can still remember the scratches even now. I gave us both new outfits in Photoshop Elements along with Princess crowns…lots of glimmer and bits of threads as well. These dresses had bright red trim and buttons … I loved this dress and wore my sister’s hand-me-down as well. The front bib bodice was pleated as well…where the bruises were I added band aids and another pair of Princess crowns of course. 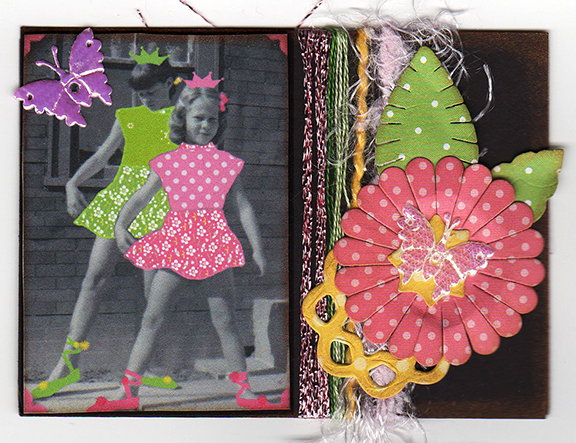 These were so much fun to do as they brought me back to the early years. 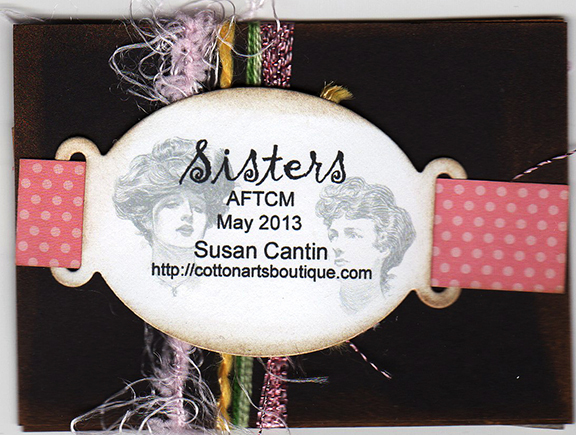 These are the backs of the ATCs … I create a back that is interesting and holds all the information as well. The front of a piece is not the only canvas to cover and it is always important to sign your work.